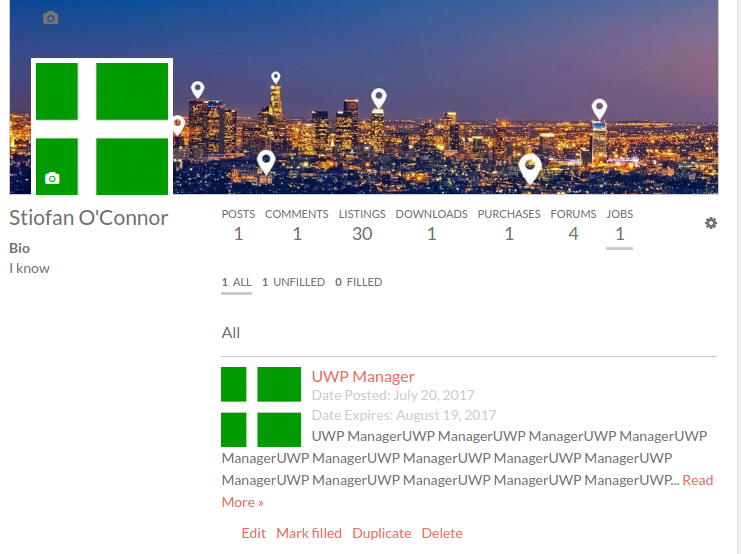 WP Job Manager addon for UsersWP. This addon lets you display “Jobs” tab in User Profile pages. Job manager job listings created by user listed under the “Jobs” tab. Jobs tab has the following subtabs. Unfilled – All Job listings created by the user, but not filled yet. Filled – All Job listings created by the user, but filled. User can also mark the job filled or not filled.